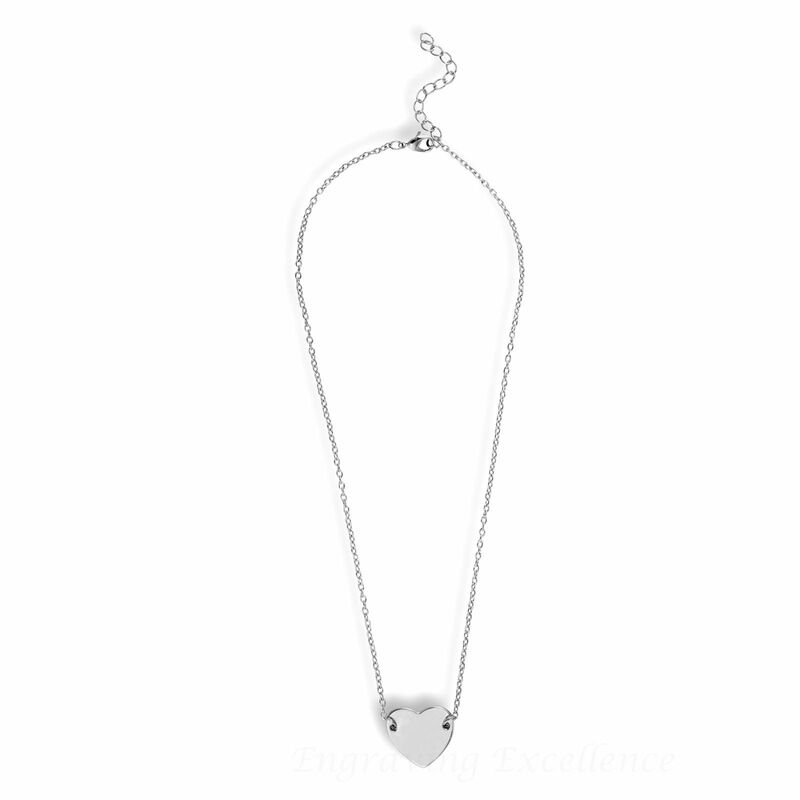 The heart is a potent symbol of romance, love and affection, and this silver heart necklace relies on that simple heart shape to provide the impact. With an unfussy link chain and a secure lobster claw fastener, this understated necklace will express your deepest emotions to the lucky recipient. 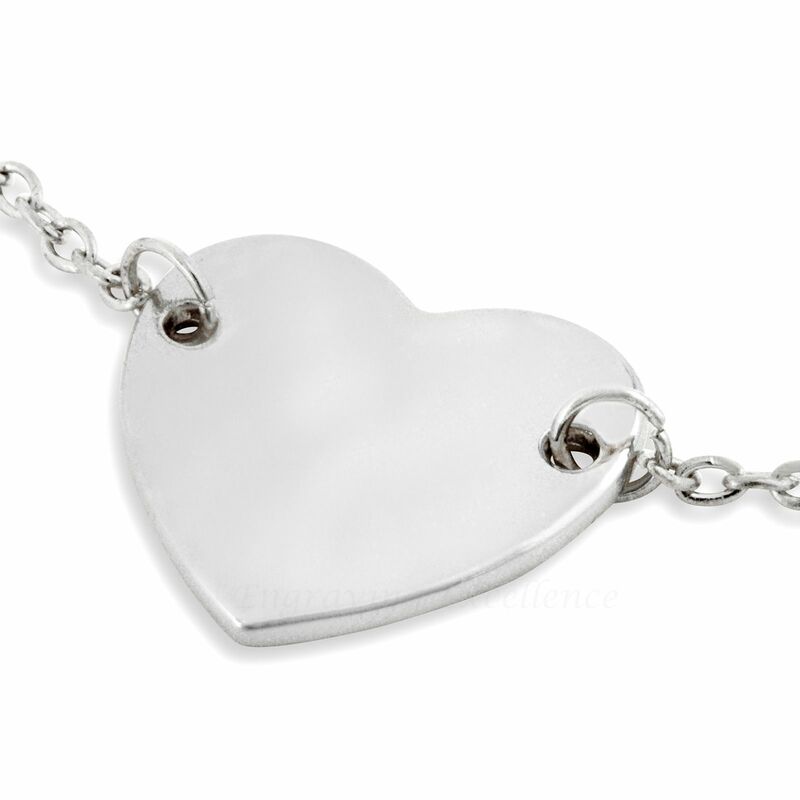 Perfect for engraving with a name, a date or a short message, this silver heart necklace makes a great personalised gift for a special occasion such as a birthday, anniversary or as a keepsake wedding favour for bridesmaids or as a gift for Mother’s Day. Personalised gifts are always appreciated because they show you have put some thought into them, so give our personalised silver heart necklace to someone special. On this necklace we engrave onto the heart, and space is very limited, so we would suggest just a name or perhaps a memorable date. One line with 12 characters is the maximum. Please check your spelling carefully, as we do engrave exactly what you send to us.